Isn't it odd that in Westie a floppy ear is a BAD THING whereas in a wire haired fox terrier a sticky uppy ear is a BAD THING. With or without the Cone of Shame. 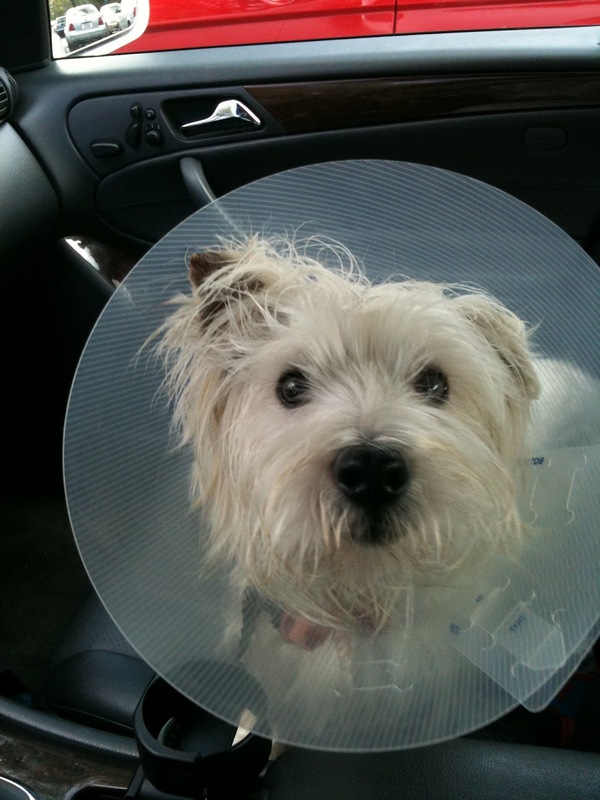 Oh, the cone o' shame....not a good look for any pup! You, however, seem to pull it off! You keep that tail up, Duncan! sounds like a bad day alright. Good thing that cone stuff is all over! !